Cartoonists are typically working on small-scale productions and are published only on national level. Unified Visegrad culture and common identity is thus not recognized within V4 and not known outside of the V4. Nevertheless history of all four Visegrad countries (and the neighbouring ones) have similar features and follow similar patterns; the 20th century in particular. Cartoons are an artistic expression reacting and commenting political and social situation in each country or regime and we will strengthen creation of original cartoons by fostering exchange of experiences and skill sharing among the cartoonists from Czechia, Hungary, Poland, Slovakia, Serbia, Ukraine and local students of art-schools. Cartoons are a barometers of society and are key in reflecting on and communicating major social and political events to wider audience. 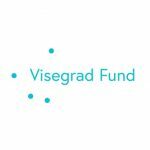 The Visegrad Fund project aims to strengthen the cooperation of cartoonist, foster the exchange of skills and knowledge, while presenting their artwork at Kremnica Gags 2018. The project will bring together cartoonists from Czechia (L. Lichy), Hungary (E. Szusc), Poland (S. Kubica), Slovakia (I. Satekova), Serbia (J. Vlahovic) and Ukraine (O. Kustovsky) and seven more from Slovakia and Czechia. The project will not only present artworks (more than 150 cartoons) of cartoonists from the six countries, but more importantly create a platform and a live event, where an unique joint piece of art will be created by all artists in front of the audience. A mega-cartoon will be created and artists from six countries will jointly reflect on the political and societal context and dramatic changes of the last 100 years in Europe (1918-2018). After the live event – „Impro-Cartoon“ – we will organize a discussion with professional audience, students of the local art school as well as general audience. To reflect on the year of „magical eights“ (100 years of the foundation of the Czechoslovak Rep., 50 years of the events of Prague Spring,…) the project will also feature „1968 exhibition“ = 68 cartoons of 8 artists. In 2018 the Kremnica Gags – Festival of Humor and Satire – is celebrating its 38th edition and will be organized under the auspices of the president of the Slovakia – Andrej Kiska and in cooperation with the Representative office of the European Commission in SVK as part of the Year of European Cultural Heritage.